Music tips to increase milk production in cows. Play Music and Increase Milk Production in Cow Naturally! Music DE-STRESS dairy farm cows; HAPPY dairy cows give more milk! Kind and gentle words make everyone happy. Hence kind words should be used when one speaks. Why should there be scarcity of kind words in one’s speech? Pleasant music is the kindest form of word on earth. . . .
HOW TO INCREASE DAIRY FARM COW MILK ? One Simple Answer. PLAY MUSIC IN YOUR DAIRY FARM. DO YOU KNOW THE DAIRY FARM COW SONG? Read more, to know. . .
Kuhuuuu… Kuhuuuuuu… Kuhuuuu. . .
Sound is the first language of all beings created. 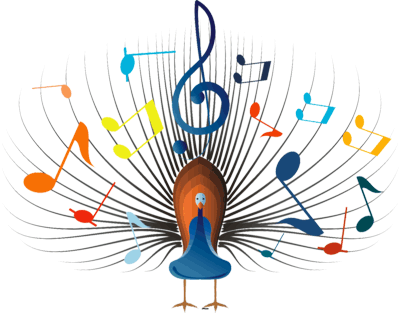 Sound is the universal language which connects humans & animals-birds; all living entities. What? 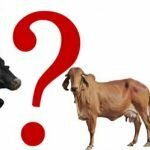 Does Music really make dairy farm cow’s give more Milk? Is it believable? I doubt? How can music comfort dairy farm cows? These were the typical questions I asked myself when I started my research journey many years back. Many years back, I set on my journey to visit the beautiful towns in Karnataka, Tamil Nadu, Andhra Pradesh and Maharashtra. During my visit to these beautiful welcoming places I made it a point along with my travel leisure, I speak to as many cow caretakers as possible on their wisdom on cow care & tips on ancient practices. Yes! Music make dairy farm cows relaxed & helps increase dairy farm cow milk around 10-15%. I was puzzled to see cows around some of these famous temples were calm, relaxed, stress-free, resting under the tree shades in all comfort & happiness. Eager to find answer to the question – Does Music help cows enjoy comfort & make them give more milk? I asked the question to almost more than 2 dozen cow caretakers around these places. On hearing to their answer I realised the SIMPLE TRUTH OF MUSIC. Secondly, if you take into consideration relaxed cow without stress have better chances of overall health & thereby better reproductive health. Which means the benefit on overall scale will be much more than just 15% milk increase. Among many answers, one abrupt answer by 7 year old boy, Raju, who was standing next to his father made me feel TRUTH IS ALWAYS SIMPLE & NATURE IS THE BEST TEACHER. “Me & my cow ‘Ragini’ both enjoy when my mother sings while milking. I get more milk to drink. But when my father milks, I get bit less milk. He does not sing & is strict with cows”. The answer was simple but soaked my heart with joy for discovering the golden wisdom. ‘EXPRESSION OF MOODS & EMOTIONS’. MUSIC HAS POSITIVE VIBRATION ON DAIRY COWS & LABORS! When cow-caretakers attend to cow with their happy mood, make some humming ‘Ghun Ghunana’ or sing broken song whatever they know, they spread the comfort, cows feel more relaxed. Otherwise cows are usually used to harsh sounds-‘Haihhh…Yeahhhh…. Loud sound & big pat hit on its thigh’, which makes cow more agile than relaxed. The words of little Raju, made me recall our childhood days. Mother’s magical lullaby & humming to calm the crying baby is an established wisdom. We all have grown up to the sweet lullaby of our parents & elders. Lullaby & music rhymes, a phonetic collection of sounds, have comforted us as a little kid, put us to healthy sleep, made us stop our cries, taught us our first step to learning. Music is the language of kids & touches all creations, including our dear cow. Similarly, the temples usually play beautiful soothing steady music at defined times daily. Usually the music is based on the Veena & flute instruments, which are very melodious & soothing. Cow sheds which were around the vicinity had a healthy influence of the music. Made cows relaxed, comfortable & gave more milk. To further strengthen the reason to believe, let’s take few steps back to our ancient history, rich with music…. ANCIENT MUSIC CHRONICLES! Since centuries Music has been the healing secret all over the world. He was successful in lighting lamps with his famous raga Deepak. Other stories share about tansen ability to calm down wild animals & talk to them. One story makes a claim that Tansen calmed down a fierce & aggressive elephant which could not be tamed. Sir Jagadis Chandra Bose, world renowned, Indian plant physiologist and physicist, spent all his life researching on the environmental responses of plants. From his research, he established ‘Plants react to the Vibrations’. Vibrations caused by musical instruments & foot dancing increased the plant growth. Plants respond to particular type of music. SOFT MELODIOUS MUSIC like classical, devotional music has positive influence on plant growth, fruiting & flowering. Plants do not hear the music; they feel the vibrations of the sound waves. Sound–vibration is a stimulus which impacts the performance of plant by better synthesis of nutrients for its growth. Music therapy influences the nervous system in positive manner for various health benefits. Music has impact on Psychological & Physiological well-being. From the above, we can believe music might work for dairy farm cow comfort. Music stimulates dairy cow, their senses & believed to help in activating key healing hormones. Music can alter dairy farm cow’s emotions & behaviour. Music is believed to trigger healing hormones, which naturally relieve pain & anxiety in dairy cows. Also believed to help in release of oxytocin, which is known as the ‘Maternal-Love-Affection- Trust Hormone’. WHAT TYPE OF MUSIC INCREASES MILK PRODUCTION IN COWS? Raag Bhairav, believed to be gifted by Lord Shiva is considered a morning raga. Though the ‘Ragas’ are sung as per the various time zone, I personally feel the MOOD of the SOUL selects the MUSIC TYPE. Music, be it songs, instrumental which are based on soft shanta rasa, which brings in feeling of peace in the listener & the surrounding works wonder. It can be soothing any classical instrumental sound, song. Sounds- songs which communicate & bring in emotional parental love is a VERY POWERFUL DAIRY FARM MUSIC which can sooth dairy farm cows. For our simple understanding, basically Soft, Melodious, Steady track music’s are beneficial to cows. Not Rock/Heavy sound music. Classical instrument based music like Veena & fute works wonder on dairy farm cows. Yes, our dear gopal, krishnaji favourite instrument Flute is a EMOTIONAL BONDING between dairy cows & us. These simple instruments with soft track work wonder. 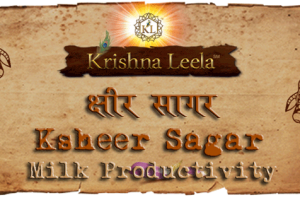 KL, always takes inspiration from the Leela of Krishna, world’s best cow herd master. Krishna the universal truth, has exhibited always with a flute, soothing music for the cows. From millions of images available one can see Krishna portrayed playing flute & his cows enjoying calmness & bliss. KL believes in the magical benefits of music on Cows, by following simple steps for increasing cow milk & support better emotional well-being of cattle. Usually it is said music based on Veena & flute instrument are soft & have healing benefits. They uplift the mood of the cows; de-stresses them & makes them happy. It is believed, in challenging situations like cows under depression after difficult calving/calf death also find solace in music therapy. 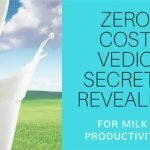 How to practice SIMPLE ZERO COST MUSIC THERAPY for Increasing dairy milk production & overall cow care? Which needs rigorous training & practice to learn the art of music. As most of us are not learned musicians, I would not make my effort on this form of music. The second form of music is purely impromptu, not learned, not planned, just singing, making sounds, humming as per one’s mood without any inhibition. Singing as per one’s emotional status is actually the expression of our emotions is known as Mano Dharma Sangeeta – Singing as per the status of one’s mood. Here, music is created on the spot as per the mood of the soul & the requirement. Because mood defines the kind of sound required. So, it is not required to master the music or the ragas. Just we need to be sensitive to the emotional expressions of cows. Practise melodious Humming/making sounds whenever you touch the cow, while milking, while feeding. Teach them to the cow care takers in your dairy farm too. Dairy Milk is healthier when cows are healthy, not stressed, not under too much medicines/treatments! Whenever you milk the cow, humming & gentle stroking of the udder would be a magical touch to increase the cow milk naturally. A melodious Humming gives comfort & confidence to the cow; it de-stresses cow, makes her feel more comfortable & accepts your presence & caretakers working at farms much better. Humming or making sound is magical. Can you recall when we make some kind of sound to even a street dog; ‘Chhhh…chhh…chhh’- a kind of Inviting sound, the unknown dog wags its tail with happiness to the stranger. Just a simple sound creates magical bonding; dog feels confident, comfortable & approaches you. Similarly, cows also respond positively to sounds; So, please practise humming, making melodious sounds in your dairy farm when around with cows. TIP #5: Create a disciplined SOUND ROUTINE ||Dhincharya ||. Create a simple sound, music routine for the various activities in your dairy farm. Slowly dairy farm cows get used to the music and then an AUTO BODY RESPONSE is built in which would assist in very easy dairy farm regular management, be it feeding, taking cows to grazing, milking, calf handling etc. Sounds can create a disciplined routine for your dairy farm. Ancient Vedic Puranas share, our lord Krishna the world’s best gau palak, used to call cows with different names as per colour, Behaviour etc. Yes, cows love to be called by names. TIP #6: Call your dairy cows by their nicknames. Organic Milk, which involves practice of not using synthetic, chemical – artificial feeds, too much external medical inputs is a boon to healthy society. Music & musical approach also helps in the great step towards Organic Milk Production. In your dairy farm, to increase the dairy milk, do a simple Namkaran today for your cow & start calling her by that name. Slowly with time, cow will understand the NAME given to her, instils a feeling of bonding, de-stresses & provides comfort. Nandini…. . Tunga…. . Bhadra…. . Ragini…. etc…. lovely names to call cows with love & ‘DE-STRESS THEM’. Mantras are scientifically proven to generate positive sound waves for comfort & healing of beings around. India is rich with mantras & chants. Kindly consider soft sounding melodious mantras & chants, they work wonders. For ex. Garbha Sanskar mantras can also be played for the healthy wellbeing of pregnant cows. Please ensure usage of soft words & languages in your dairy farm among labours, managers & while addressing, speaking, milking the cows. Cow are sensitive they get stressed to HARSH SOUNDS/ACTIONS/BODY LANGUAGES. Use pleasant & soft words in your dairy farm while milk the cow. TIP #8: How to know MUSIC IS WORKING ON THE COWS? 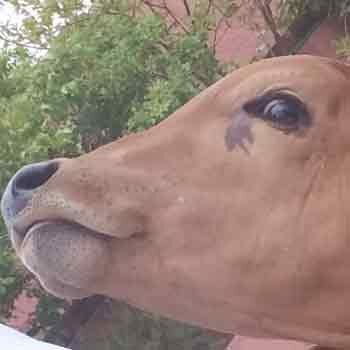 Language of eyes; Understand the Cows emotions through her eyes. Eyes, as shared earlier, are windows to the soul. Eyes many times reveal the deep emotions happening with-in, mood & health status. 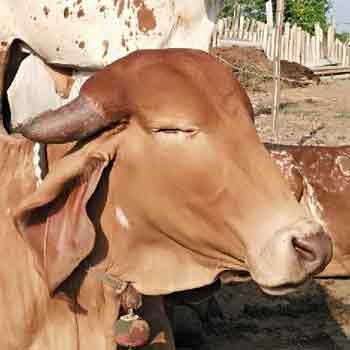 We need to learn the art of Netra-lakshana, observing cows eye & understand her emotional status. With practice, you can look at a cow & make observation of her emotional well being. If you observe the following sign in your cows/dairy farms, then there might be chance that cows are under stress, anxious, not comfortable which is affecting their health & milk productivity. If you see the WHITE COLOUR AREA OF THE COW’S EYE more or the EYE BALL portion more visible & popping out then the cow is stressed/ has fear/anxiety. Accordingly play the soft melodious soothing music, instrumental music of Flute, Veena ETC. Regular practise of melodious sounds, humming, chants, mantras will create a very trustful bonding between the cows & the caretakers. 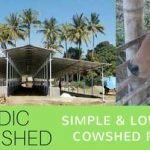 It de-stresses cows, relaxes them, heals the body & mind for better health & productivity. STRESS IS THE BIGGEST CULPRIT FOR LOW MILK PRODUCTIVITY OF COWS. DE-STRESS YOUR COWS. Your views, songs, music recordings would be uploaded along with your details. Thank You. Can we play the music from the music systems ? Yes, you can play it but Slow, Soft & Calm music can give your best result. Any pleasant melodious soft music is beneficial to cow care.You can try carnatic music based on Veena & flute. Yes I really heard about that the cows love soft pleasant music and it also helpful for more milk production this is fact . Yes, music is beneficial to cow care. Request you to please let me know how to increase the fat content in the milk produced by the cows in our farm. Please explore How to Increase Cow Milk Production and Milk Quality? You can also explore our ONLINE PROGRAM! KL appreciates your valuable feedback. You have always been a support in this noble movement of spreading vedic gau palan. We will be further enriching the article with MUSIC BYTES for references & application. If you know any close associate who can contribute to the COW SONG-MUSIC, it will be a great contribution to cow care.